Is this two game into one?. The second link points to the Definitive Collection. This is £7.49. 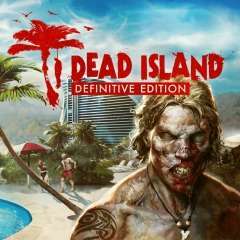 Whatever happened to dead island 3? We haven't had Dead Island 2 yet!! Dying Light is probably more like Dead Island than Dead Island 2 will be. The original developer broke away from the publisher and made Dying Light instead of Dead Island 2. Sick price, played this loads on PC! Prefer it to Dying Light, fun af if you play with a couple mates. The original without doubt the other (riptide) seemed more like a rush job/cash in/DLC. Played thru it again not long ago and really enjoyed it, still plenty of people online still playing it for teaming up.